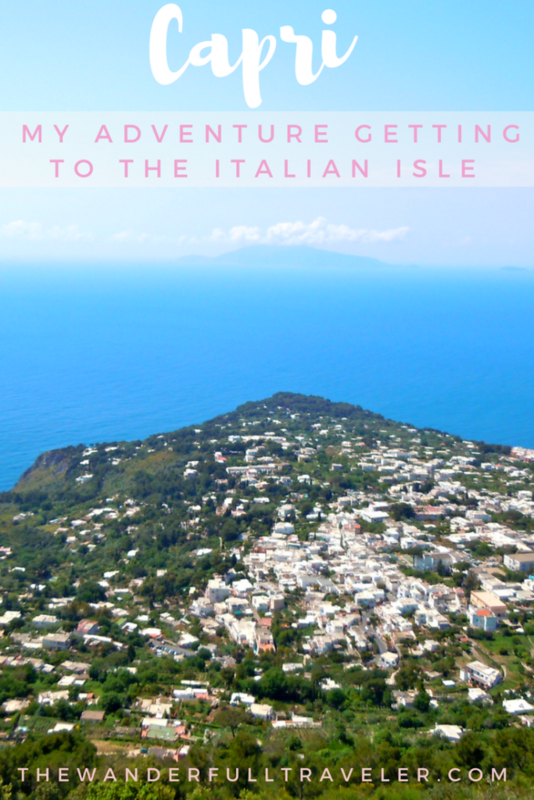 Getting to Capri felt like no easy feat for a novice world traveler. We took the train from Rome, which was lesson number one in European travel, and we passed with relative ease. However, lesson number two was enough to shock me out of my Canadian comfort and prepared me to go with the Italian flow. It was our first full day in Italy after arriving from Canada. 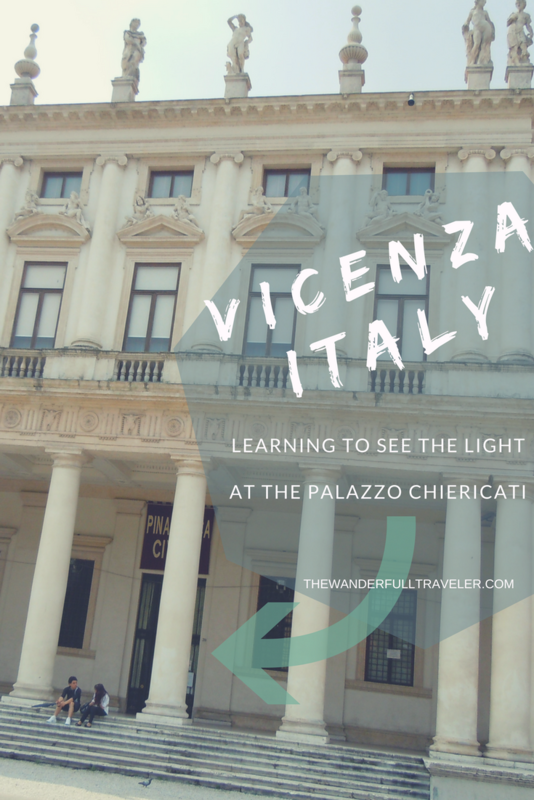 It felt like my boyfriend (now my husband) and I had been traveling for days in our cramped British Airways seats next to the washroom, when we finally saw the huge city of Rome lit by the setting sun. After we settled into our dorm-like hotel room, I stumbled on the streets with my Star Wars t-shirt, très terrible, found some mediocre pizza and 3 euro white wine. We ended the evening by passing out on our rock hard beds in exhaustion. We received a much needed rest of about five hours when my iPhone alarm went off at 6 am. I pushed snooze and drifted off to sleep forgetting where I was. The alarm sounded again thirty minutes later, and again I pushed snooze in desperate need of sleep. Finally, at 8 am I woke to realize we were in Rome! We wasted three hours of travel time! Capri could have been ours by the end of breakfast! In fact, I needed to be in Capri by nine to effectively explore the island and check everything off my long list of unrealistic to-dos. Lesson #1: Just take the Metro already! After showering in our mold infested bathroom (which seemed to be the norm in most of Italy) we attempted to interpret the map of Rome that our hotel supplied us. It wasn’t exactly to scale and made the train station appear to be a simple 15 minute walk. An hour later of wandering the vast city, we finally bought our tickets and boarded our train to Naples. A few days later we discovered the cost effective Metro, only after becoming sick of the unofficial taxi cabs ripping us off, one of which yelled, “Chow bella!” as he drove off with an extra 20 euros. I did not take it as a compliment. Lesson #2: Hold on for dear life! We hailed a taxi, a driver conveniently waiting at the front doors ominously saying “taxi” under his breath. He lead us to his car that had no sign of being an “official taxi,” we got in. He drove. “Molo Beverello,” I tried to say in my best Italian. He stepped on the gas as we approached the intersection. This is when I started to worry. I dug my hands deep into the pockets of the ripped seats. The seatbelts…well, there were none on board our vessel. My boyfriend braced for impact; his forearm against the passengers seat in front of him, his pants a little bit heavier. Our car disappeared into a sea of vehicles going every which direction. What would be considered two lanes in Canada is a three and a half lane in Naples. There are no rules when driving in an Italian city and if there were…I didn’t get it. Where I saw an impenetrable wall of cars the driver saw the sidewalk as a potential road. His little car would fit anywhere it could – in between cars, on the curb, meridians etc. There were a few times where we thought we were going to sideswipe any one of the Vespas that were also cutting through. The Italians seem to lose their “dolce vita” perspective when they board anything with wheels. We finally arrived at the ferry/hydrofoil where we bought a pricy ticket to Capri. 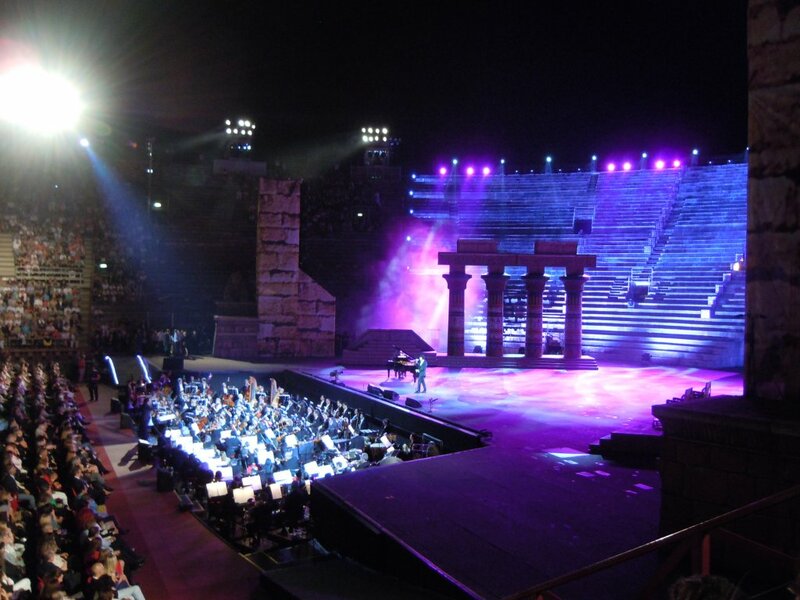 While we waited for the hydrofoil the towering Castle Nuovo was our view. After 45 minutes we arrived at the picturesque playland for the rich. It is certainly too expensive for budget travelers to stay on this island but I would recommend trying if money is not an object. One day is just not enough time! Taxi drivers and waiters are forthcoming with stories of how the wealthy spend their money. For example, the owner of Ferrari has a villa in Capri. One day, he ran out of, what is considered, the best mozzarella in Italy. He did what any serious foodie with copious amounts of money would do, and that was to get one of his assistants to fly inland on his personal helicopter, of course. The actual island of Capri is so beautiful you forget the trouble you may have ran into just to arrive at her shores. I recommend boarding a small boat to tour the island in peak season. A line up will form quickly and so if you can take your opportunity as soon as you disembark from your ferry. 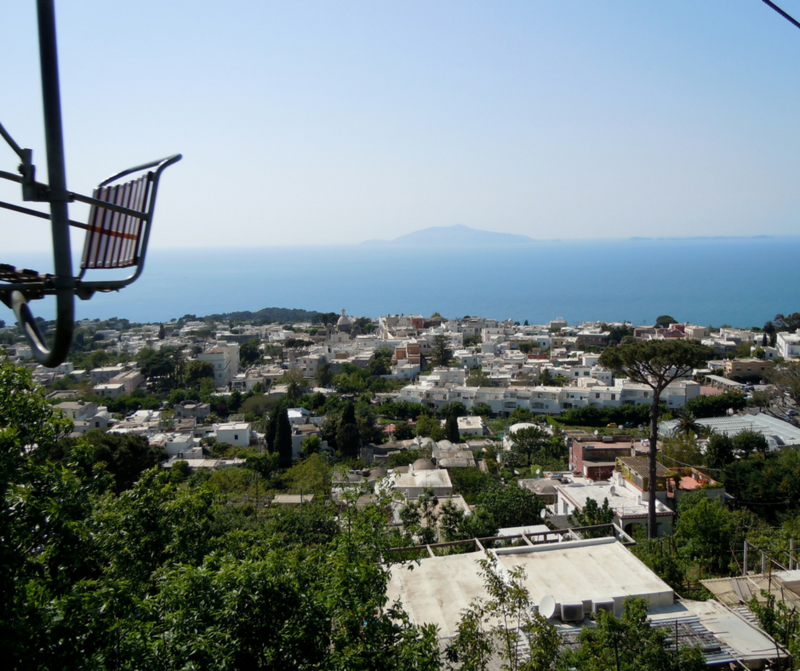 Otherwise, I’d take the 2 euro bus to Anacapri in order to experience the funicular. The small chairlift that hauls you to the top of Mont Solaro. If heights put you off then you may want to avoid this lengthy journey but my goodness the views are so worth the anxiety. And good news, there is a bar at the top if you need to calm down! But for me, it was nothing short of relaxing as you gracefully glide in the summer air over the homes and gardens of locals. 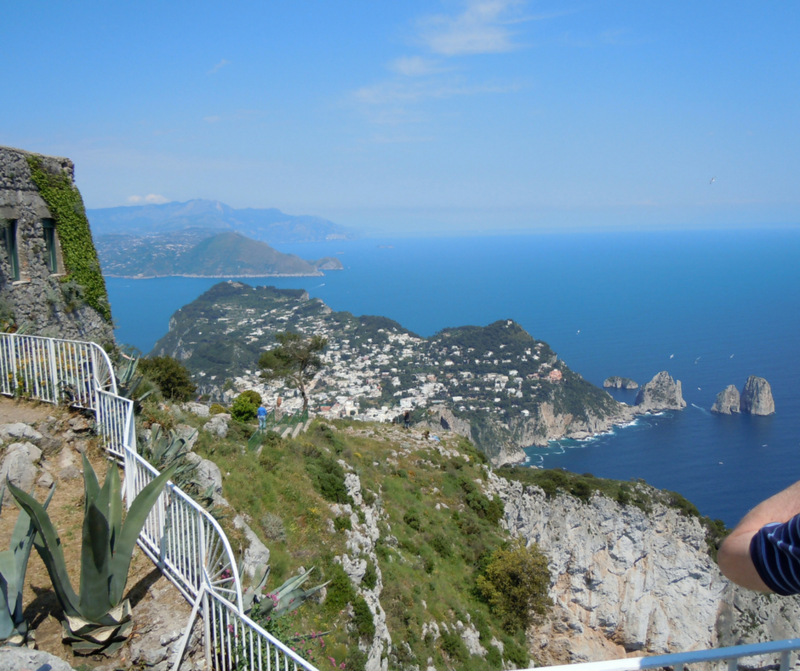 From the top you can see all the iconic sights of Capri from Anacapri church and the Fragolini rocks. On clear days you can also see Mount Vesuvius! It just so happens that we were there during the Feast of San Costanzo, the patron saint of Capri. 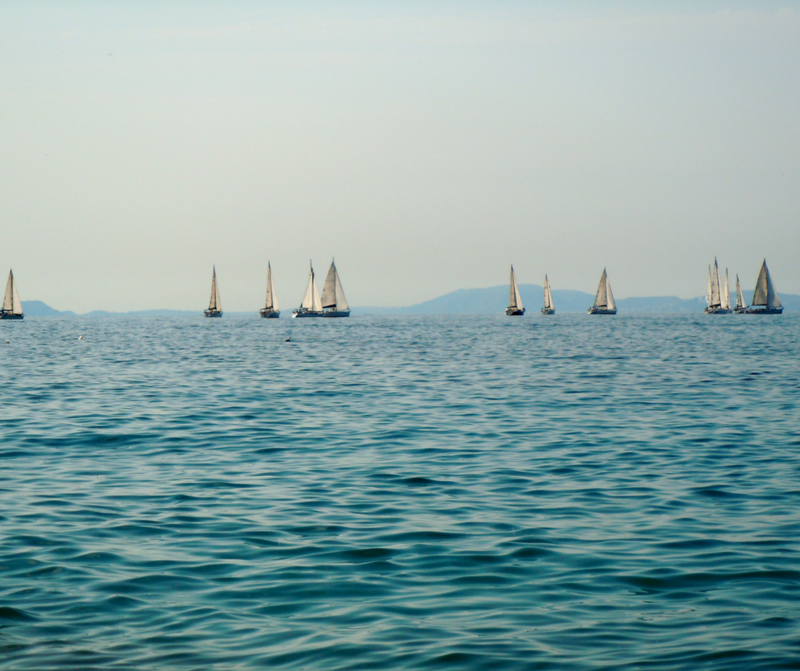 Canons were being sounded on the water and a gorgeous regatta sailed in unison in the sea. Of course, the last ferry leaves at around 7 pm and restaurants/celebrations don’t begin until 7:30 when many of the celebrated restaurants actually open. Again, if you can afford to, I’d recommend spending a couple nights on this gorgeous island! Hi! I found this through the Dolce Vita series…thank you Christy! This will be fantastic since I'll be visiting Capri (day trip only) this September. Thanks! God I want to go to Capri so badly!!.. and to the Amalfi Coast, Positano, etc..I've been to Italy 3x and feel like I have barely scratched the surface, lol.. Thank you for commenting! I love your blog “Paris Breakfast,” especially your recent posts about Venice! I couldn't imagine going to Rome again without going to Capri. For me, it goes hand in hand. How could it not when you're so close to an island dream?! I am ready to catch the Hydrofoil TODAY! Wow, everyone is so well traveled! The water was so nice. If I do go there again I would like to do some scuba diving. Supposed to be some great sea life and corral. Thanks for your comment Taryn! chow Bella!! another great blog….i love the taxi rides!! 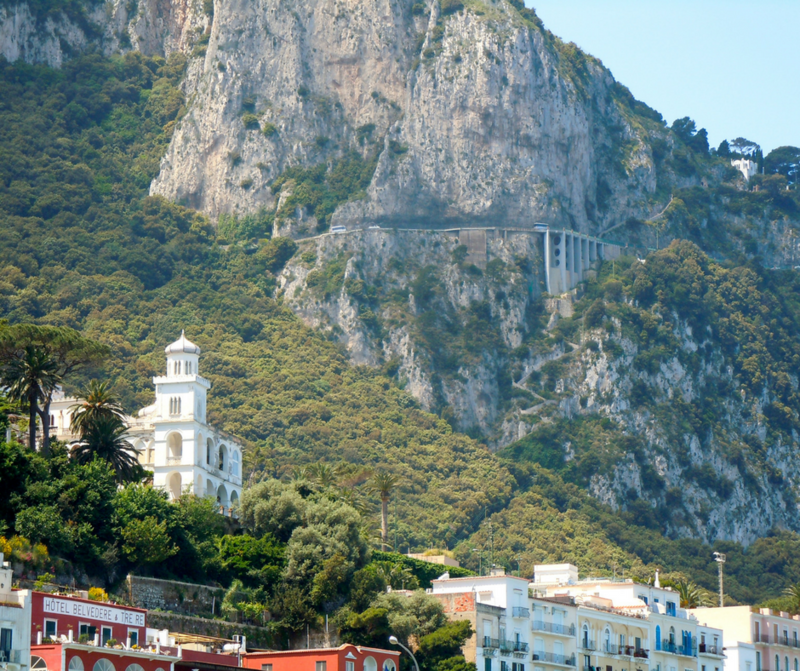 keeps you on your toes or heels as no seatbelts….loved Capri…specially the taxi tour…our guy was great and very informed on the history of the island….I have a bid on the Gerber Castle….ha….keep up the good work!! next time I want to see some cliff diving…..no excuses. I agree James! 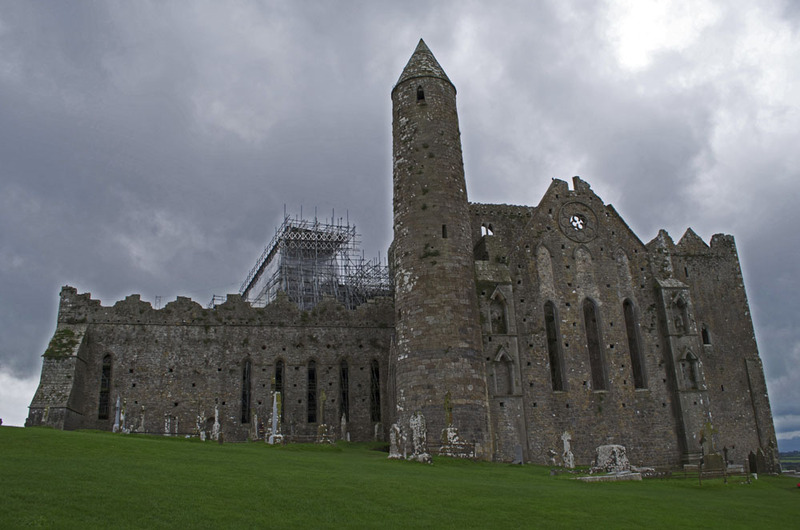 It is so gorgeous and I wish I could go back…maybe some day. 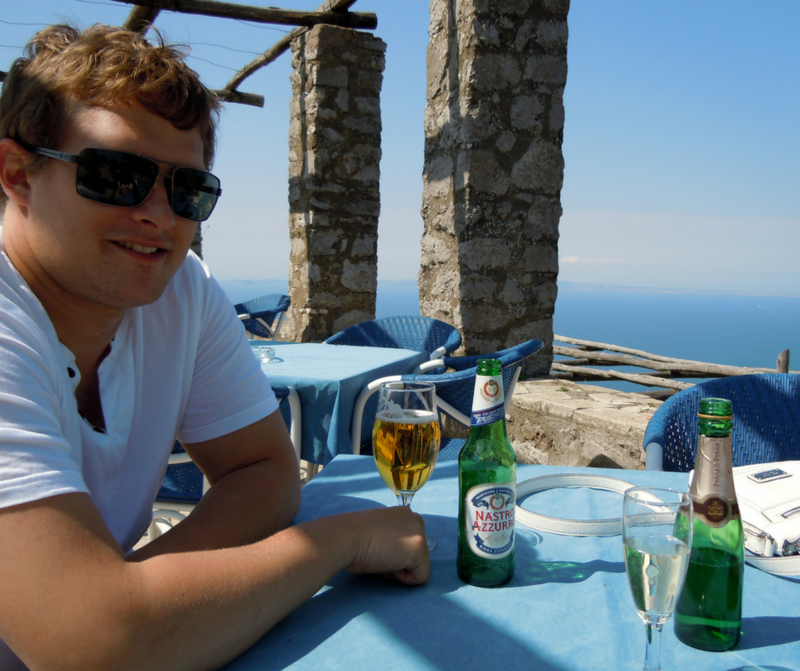 I went to Capri once…..AMAZING!!! You have never seen such beauty as the island of Capri as you stand a top its mountain pedistal. 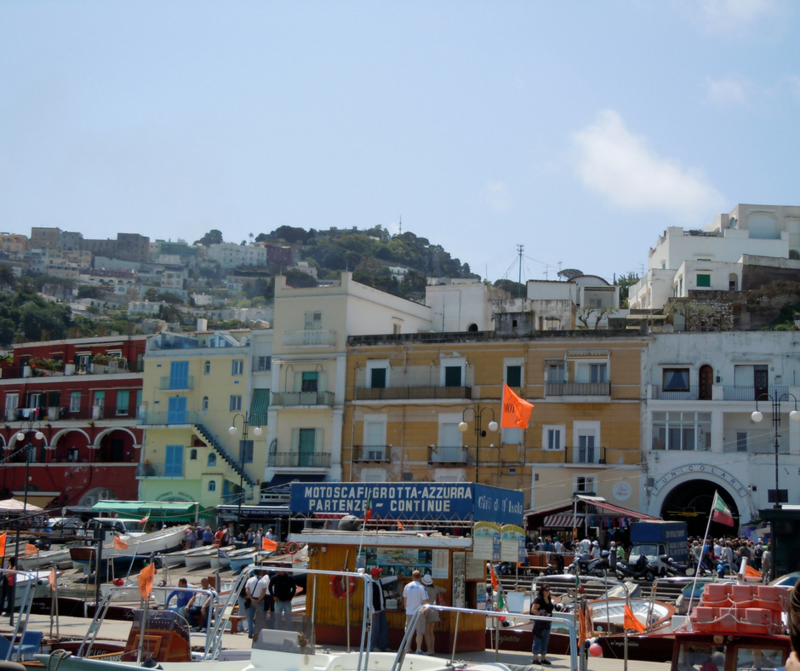 Oh…yes Capri,We had the same problem with the taxi cabs in Naples.But once on the island of Capri it is worth it!